In 2019 the Youth Contesting Program (YCP) of IARU R1 will be continued. 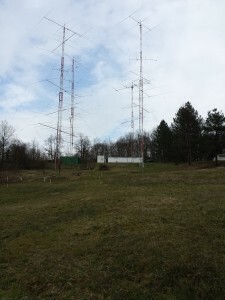 Youth members from IARU R1 member societies are invited to take part in a contest from so called “Top-Gun” stations. These young HAM’s will learn how to operate the contest station, improve their contest skills and will aim for the best results together as a team. A youngster will probably be coming for the first time to the host country and will get the chance to experience this country and share amateur radio knowledge with local youngsters. Are you interested? You can apply via this form. Young people aged under 26 years. All levels of contest experience are accepted. A participant should have at least basic knowledge about contesting and using a transceiver. Member societies are asked to select young people who are willing to experience a contest in a “big-gun”station, eager to learn more about amateur radio and who are aiming to get the best results out of the contest. A group of ±6 international youngsters and ±6 domestic youngsters will take part per contest. Participants are asked to fund their own travel costs. All other costs will be covered.